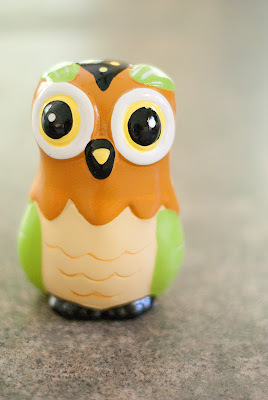 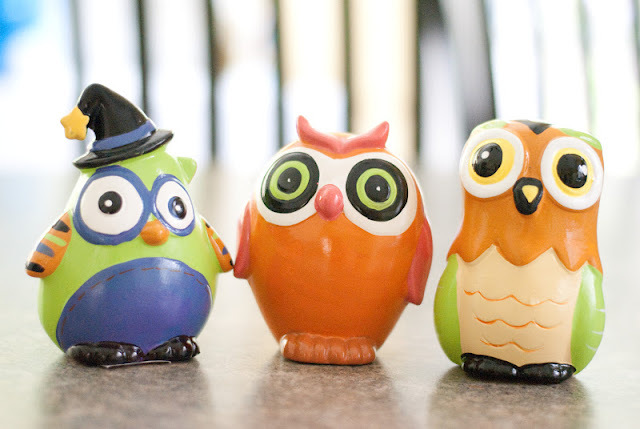 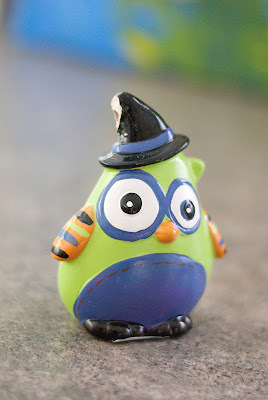 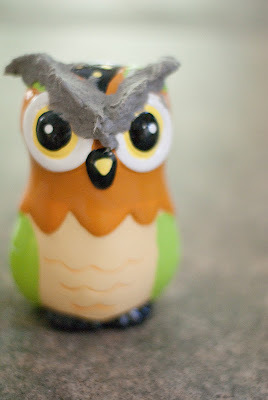 The Dollar Tree has little ceramic owls right now that are almost cute enough to decorate with, but in the end are just a different look than I like. 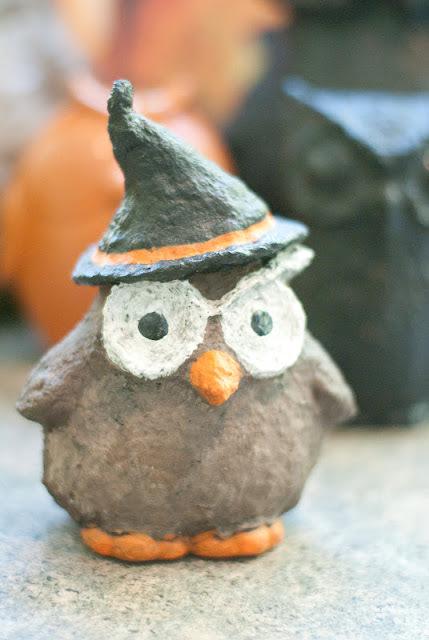 But that didn't stop me from buying a bunch of them for this Halloween season! 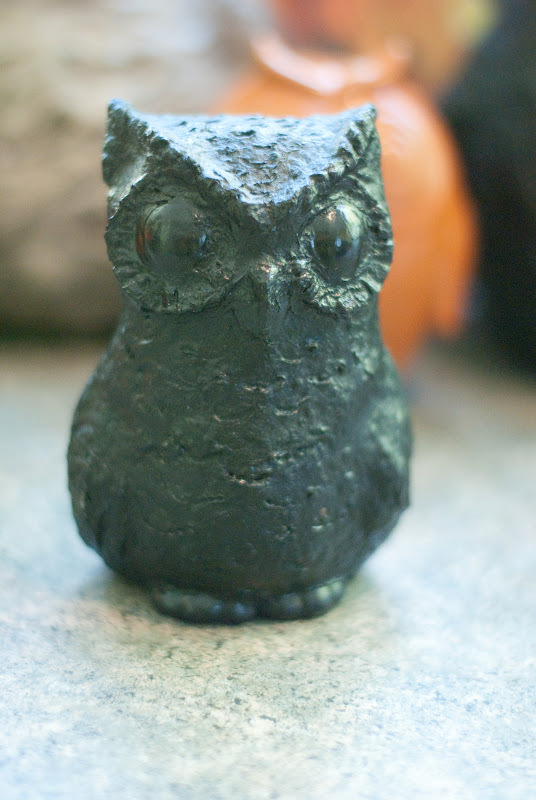 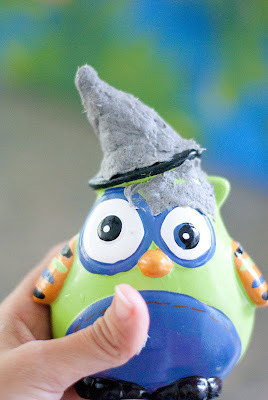 I had just recently made owls out of paper mache (tutorials here and here) and decided that these little figurines could easily be covered with paper clay for a different look. 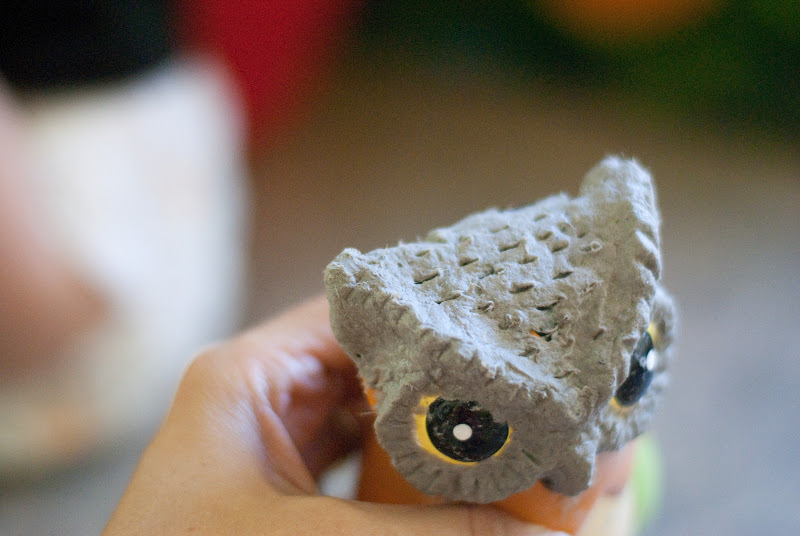 This project is incredibly easy and very fast! 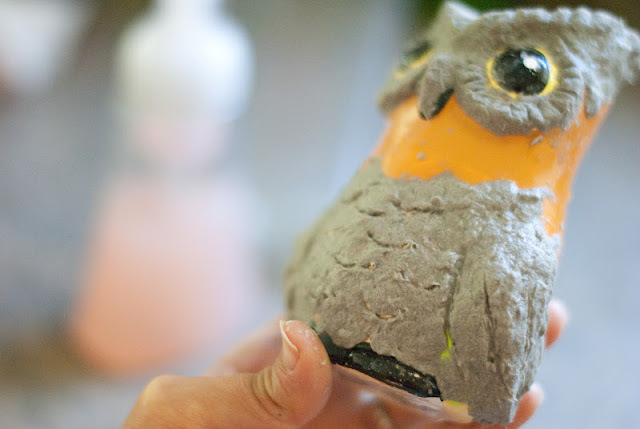 You only use a small amount of clay so it dries in a couple hours and can be painted and finished in the same day! 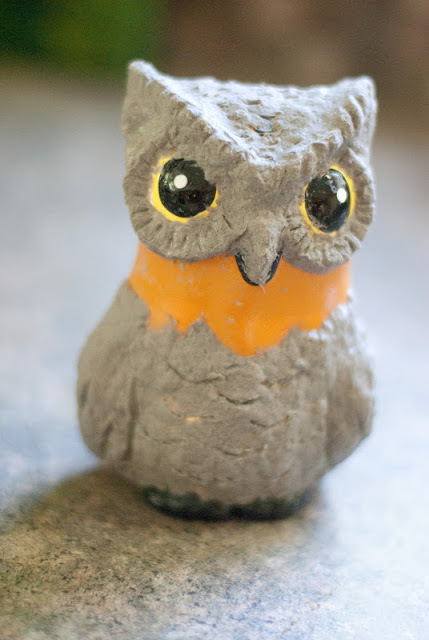 Because I knew that I would be using a very small amount of paper clay, I decided to forgo making my own batch and used my favorite Celluclay instead. 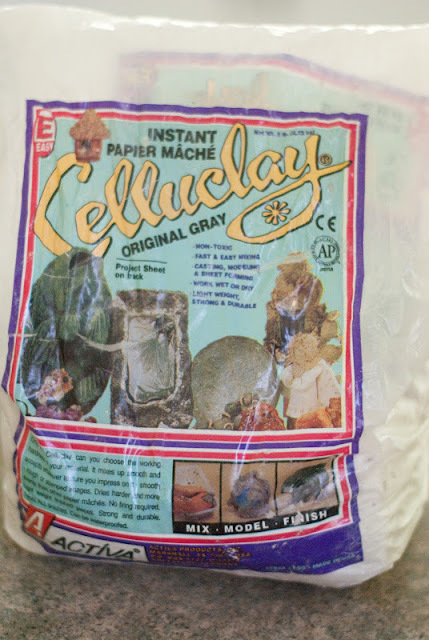 This stuff comes in white or grey and all you need to do is add water to the consistency you like. 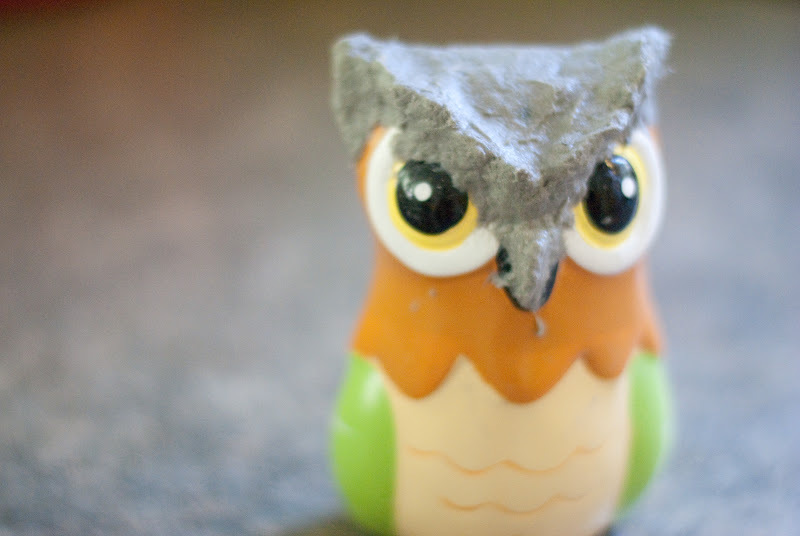 I used to use it all the time but now that I figured out a much cheaper way of making it I don't use it as often. 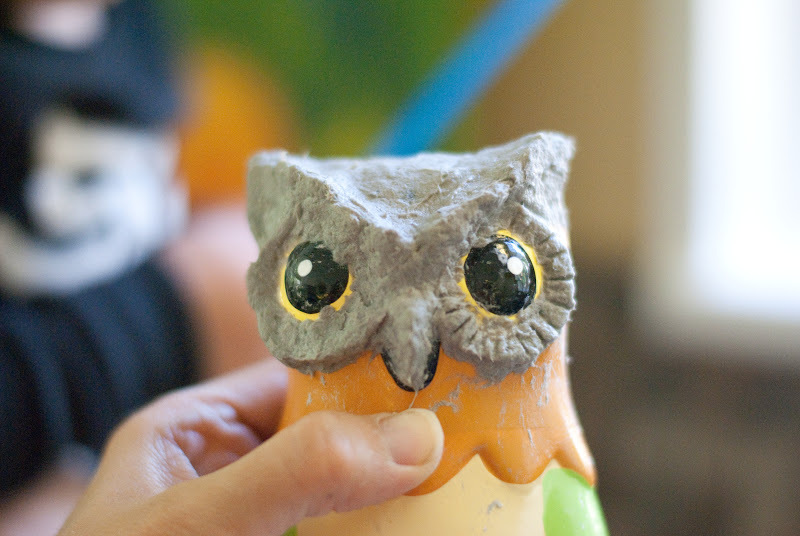 I decided to add more clay to the neck in the end, but it isn't necessary to cover the whole form. 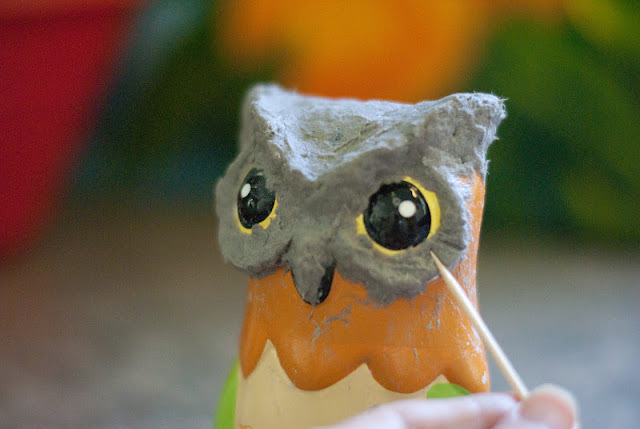 The celluclay sticks so well that if smoothed down, it doesn't fall off once it is dried and painted. 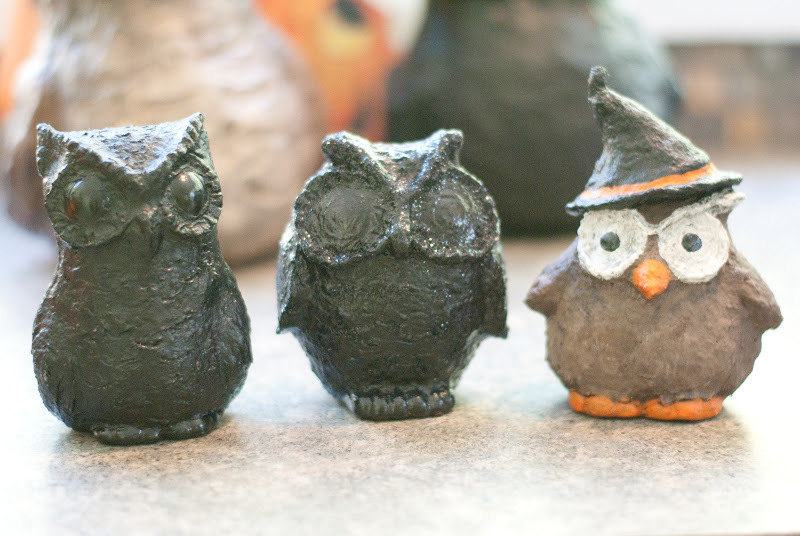 The one on the left I added celluclay, painted black, and then added sparkles. 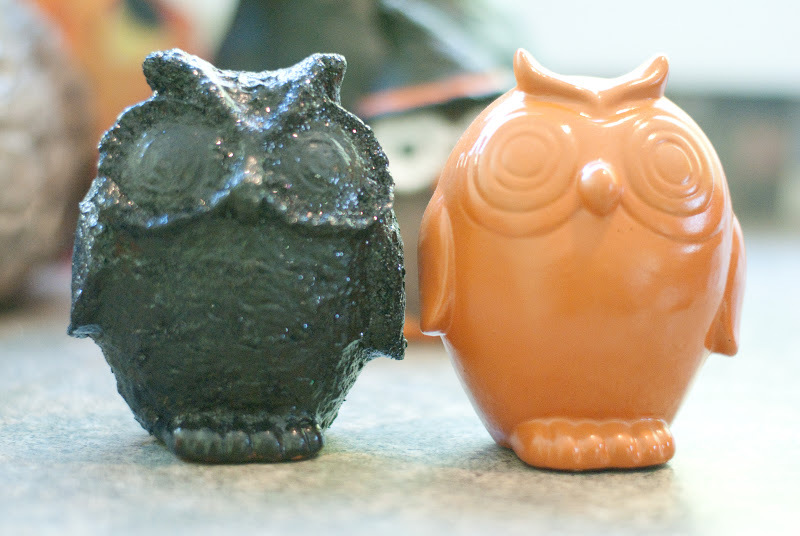 The one on the right I just spay painted orange.